I have been contacted multiple times by a company who wants to purchase the lease from me. Since falling into the wireless rental business when they selected my land for a flag pole tower I have tried to educate myself on the technology. 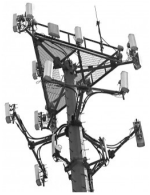 I am hearing a lot about DAS distributed antenna systems, LTE technology and 4G. I am wondering if any of these will eventually replace the cellular antennas we have and if I should sell the cell site leases on our land to make sure we don't lose the income. On the other hand why would the finance company purchase it from us if they risk the cell towers becoming obsolete?? Should you sell your lease? I think it depends on what the money from the sale is used for. I sold my lease and took advantage of the tax treatment then spread the money out in my investment portfolio. Over all I am out gaining what the rent was and what it was escalating at and if the cellular tenants ever leave it is of no consequence to me financially. If they are going to take nine and a half years of cell tower income up front and roll it into something else it's a fair offer. If they are going to take the lease buyout and purchase the new plasma TV and Escalade, then you can't really help them. You are always giving up income on the back end. Could have came in handy yesterday to go all-in with cash during the stock market rally however. My friend was just talking to me about this. He said he had a cell phone tower and currently makes $12,000 a year from the rent. A company built it there and all he had was the land. He received an offer of 115,000 for it and he wanted to take it. Is it worth it? In my opinion carriers utilizing DAS & LTE systems are applying band-aids to wounds that need a tourniquet. In addition they are only affective in densely populated urban areas where it is difficult to deploy a traditional cellular site, or places like sports stadiums, shopping malls or large universities. Also, they are quite cost prohibitive. To really improve capacity and meet increased bandwidth demands the carriers need to add more sites in certain areas. Don't lose too much sleep over them. Hold onto your cell tower lease and enjoy the rental income if you don't really need to sell. However if you need to sell your lease, we can make sure you are getting the very best possible buyout offer. 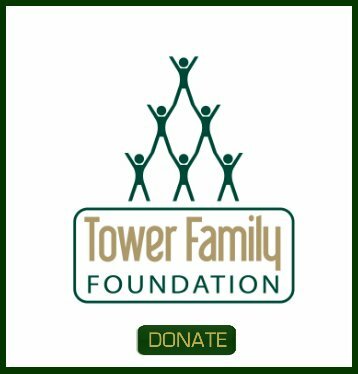 Fill out a contact form on this website or give us a call at 888-313-9750. Join in and write your own page! It's easy to do. How? 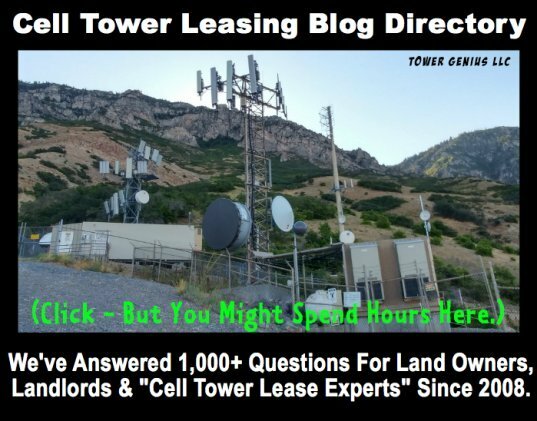 Simply click here to return to Cell Tower Lease Buyout Forum.